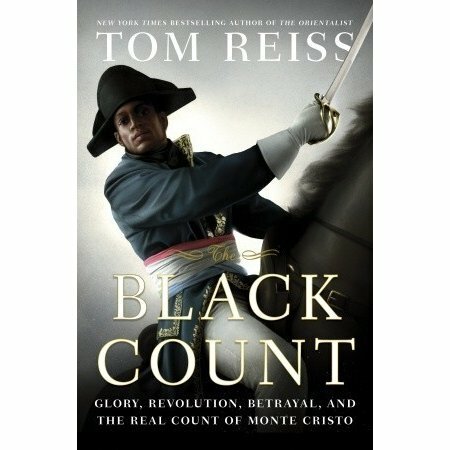 I found this to be a fascinating account of novelist Alexandre Dumas’ inspiration for some of his well-known literary characters: his beloved father, General Thomas-Alexandre Dumas, the tragic hero of revolutionary France. Dumas, born to a French nobleman and his slave mistress in the West Indies, quickly rocketed to fame in France as a handsome, talented, physically imposing and fearless leader of men during the bloody French Revolution. What made his rise to prominence so remarkable was the fact that he was of African descent in a time where it was almost unheard of for a black man to lead whites. It is unfathomable how far the proud and outspoken General Dumas-known as “der schwarze Teufel” (Black Devil) to his Austrian enemies-could have gone in his career had he not made an enemy of fellow general Napoleon Bonaparte. By the time Napoleon had gained control of France, Dumas was out of a job, denied a military pension, and virtually ignored by a country who owed much to him. Having spent the last two years of his military career as a prisoner-of-war in Naples, Dumas returned to his country financially and physically ruined. According to Tom Reiss, who conducted extensive research into the Dumas family, the accomplishments of General Dumas, both militarily and in terms of social equality, is given scant attention, even today. Among the numerous statues of French heroes that decorate Paris, the author notes, Dumas remains unrepresented. What I also found interesting was Reiss’ prologue account of what he had to go through to obtain a glimpse of some valuable documents pertaining to Dumas that hadn’t been properly looked through in 200 years.